It's easy to view HLS, Poseidon, FLV and MJPEG Shinobi streams in VLC. Just to keep the article clean and short we'll only talk about how to view the stream, not setting up a monitor. If you would like to see how to setup a monitor you can check out this article or you can watch this video. We will use a Poseidon as the example because it works the best and has the greatest performance and compatibility out of all the stream types provided by Shinobi. The windows version of VLC is shown in this article but the premise can be replicated on even VLC for iOS. The premise in opening MJPEG, HLS, or FLV in VLC is the same as Poseidon. 1. Click your Username in the top left. Then Monitors. You should be presented with a window displaying a list of monitors you have already setup. 2. Right click the Stream link and copy the address or click the link to open the stream in the browser directly. You should have a URL similar to below. The break down of the URL is as follows. Opening it in the browser should present a stream for Poseidon and MJPEG but HLS and FLV require special processing to be viewed in the browser. HLS can be viewed directly but only on macOS or iOS as they support it natively. 3. 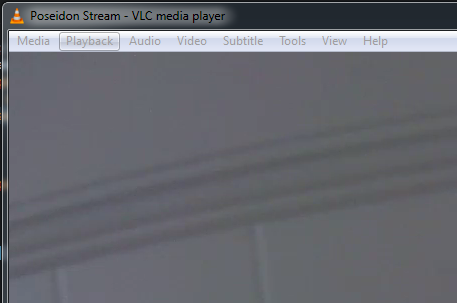 Now that we have ourselves a stream URL you can view it in VLC by clicking Media then Open Network Stream. Paste the URL in the field presented. 4. Press Play and Enjoy! 1. Click your Username in the top left. Then API. You should be presented with a window to create API keys. You may have one already added from the install process. 2. Put 0.0.0.0 in the Allowed IPs field. 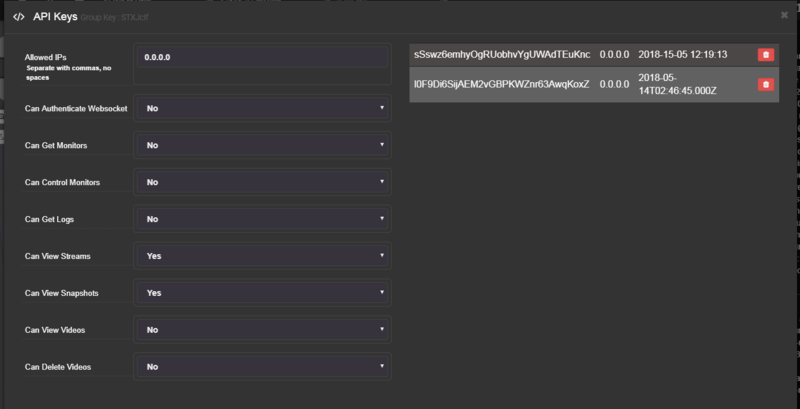 You can create a new API Key locked to a specific machine later when you have confirmed it all works as expected. As shown in the photo above you need Can View Streams to be enabled. The rest can be left as No for security purposes. When Added you will get something like this. 3. Now that we have a new API Key let's replace the Temporary Key with the Permanent Key. Below is our temporary URL that we got from the Monitors window. Here we have the updated URL. In bold you can see where the changes were made. 4. Now you can use this URL in place of the Temporary URL in VLC or another application altogether. Enjoy!